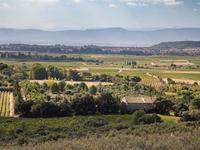 This charming property is situated in the beautiful wine region of the Minervois, the . . .
Marble fireplaces, decorative floor tiles, panelled doors, a fifth bedroom to renovate in the . 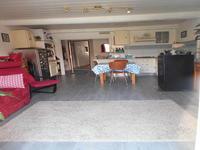 . .
At one time 2 houses, this property would make an ideal holiday home with immediate rental . . . This house is really impeccable. The work has been carried out to the highest quality and the . . . Restaurant, 2 beds, 2 baths, terrace, lovely period building, beautifully restored in tourist village near Carcassonne. A beautifully artistic mixture of rusticity and sophistication, using natural materials and . . . In super condition, very comfortable south-facing character 3-bed stone house with courtyard garden in a lovely village near Caunes-Minervois. This house has been really well looked-after, and it shows. The electricity and plumbing have . . . If you want to be close to nature in a beautiful part of the world, with wonderful weather . . . This beautiful village home is situated in a well-known medieval village, which attracts many . . . Whether you're searching for a year-round residence or the perfect holiday home this may be . . . 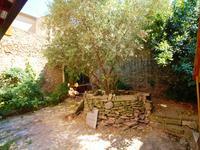 In the centre of this lovely village with amenities just 3.6 km from Caunes Minervois and 22 . . . 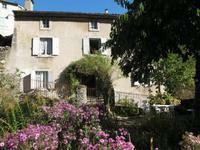 Spacious 19th century old stone house with garden and barn near Caunes-Minervois in Languedoc now called "Occitanie". This Maison de Maitre was years ago the townhall of a rural village situated in the Montagne . . . 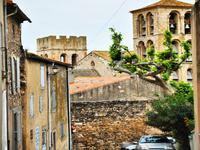 In the wonderful Renaissance and Medieval village of Caunes Minervois, with its abbey and . . . This is a sweet house with lovely stone walls featured in the living room and exposed timber . . .
Space and charm, stone house with 7 bedrooms, 2 bathrooms, a wonderful courtyard, wood decked terrace and garage. What an amazing house this is with very spacious rooms - 6 bedrooms in the main part and a . . . When one thinks of the south of France images of vines, fields of poppies, olive and pine . . . This renaissance and mediaeval village, with its beautiful abbey and famous red-veined . . .